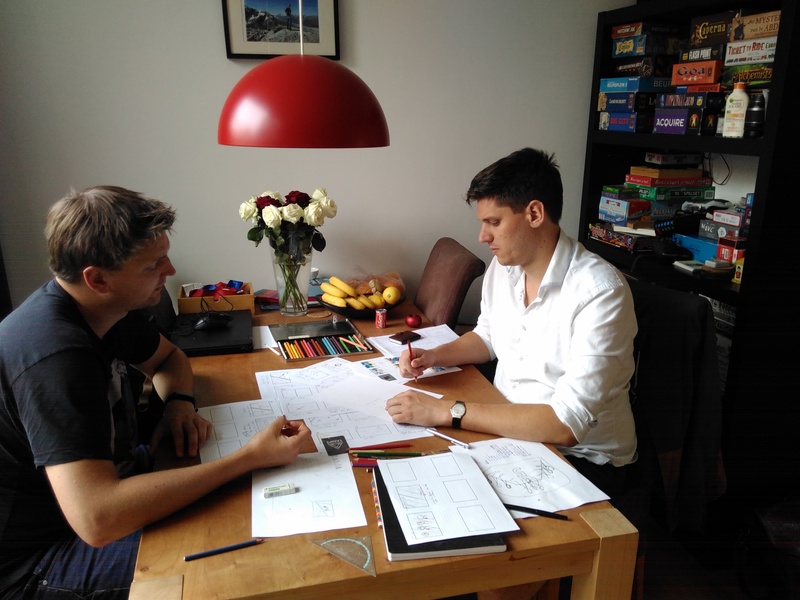 Today, Rens created the first draft of our Kickstarter movie storyboard. Super cool to think how we can combine the social character of Tamps with the raw speed of the game and our abstract design. To show in one glance what the game is about and how super fun it is! Further, I have been in contact with possible manufacturers in China, Taiwan and the Czech Republic to determine how much it will cost to manufacturer and ship our product to the Netherlands and then to your doorstep. So we can create the game for a cost-efficient price and make sure that its quite for you guys and gals. Lastly, the rules have had a ‘finishing’ touch and are now ready to be play-tested. For this we want to organize a Tamps-Game-Night where anyone who wants to play the game can play it and where snacks and drinks will be taken care of. Does anyone of you, or maybe some friends, would like to take part in this game-night? Please let us know!